The classic, The Good Soldier by Ford Madox Ford,has nothing to do with war, but everything to do with love, deception, manipulation, glamour, gentility and death. Prepare to be haunted by the four well-mannered Victorians in beautiful Europe, politely destroying each others' lives! The Good Soldier by Ford Madox Ford is considered one of the best 100 best novels of all time. One reviewer called it the "finest French novel in the English language." This alludes to the complex plot, fascinating involvements and constant surprises. It recreates the difficult relations between two "perfect" Victorian couples who leisurely travel and stay at the finest European luxury gathering places. Learn to make tasty summer treats including ice cream sandwiches, paletas, gelato, and sorbetto. For many of us, summer brings memories of rushing to greet the ice cream truck or enjoying a dripping cone at the beach. My favorite childhood summer treat was the ice cream sandwich, vanilla ice cream wedged between two chocolately cookies, so I was delighted to discover Jennie Schacht's new book i scream SANDWICH! The winners for the Street Lit Book Award Medal (SLBAM) have been announced for 2012 titles. If you're a K'wan Foye fan, you'll be pleased. A letter from Mary Farrell, Branch Manager of Lakeview, to the Lakeview Book Club about The Season of the Witch by David Talbot. It's one we all REALLY liked! 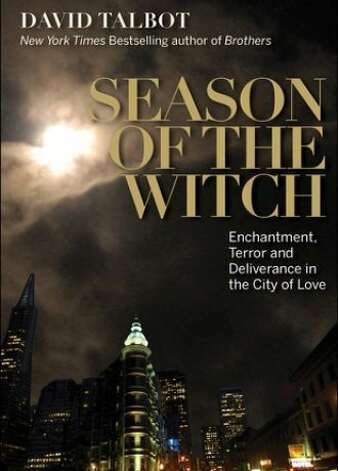 Ten of us were at Lakeview to discuss The Season of the Witch: Enchantment, Terror, and Deliverance in the City of Love by David Talbot and all liked it! Looking for a book to take on vacation with you this summer? Check out our list of suggestions. Each year, as summer approaches, I find myself thinking about vacation even if I’m not taking one. When I do travel, I like to read fiction set in the places to which I’m traveling. And if there’s no vacation on the horizon, I still love to get carried away with a good book set in a location I’d like to visit. I know many library patrons also enjoy reading fiction set in other locales. Listed below are some titles I’ve recommended to patrons and other that that have been recommended to me. In Abundance: authors explore how we got fat. Three Bay Area authors give thier take on your expanding waistline. This year's Summer Reading theme: “Reading is So Delicious” got me thinking and reading about what an abundance of delicious may do to our bodies. Two journalists and a doctor, all residents of the Bay Area, tackle just this subject. Go "Wild" with Cheryl Strayed in her memoir of her 1,000 mile hike of the Pacific Coast Trail!!! You will feel like you walked beside her! When is nonfiction better than fiction? When the writer makes you feel like you lived it alongside her...When you are happily exhausted and you did none of the work....When you "Can't-Put-It-Down." Here's a preview of 10 great novels coming this month. Enter a contest to win Ghana Must Go, the debut novel by Taiye Selasi.